What is a Mississippi Living Will? Mississippi Living Will: What Is It? A Mississippi living will is a document used to memorialize how you want future medical decisions made in the event that you are incapacitated. A Mississippi living will is commonly referred to as an advance healthcare directive. 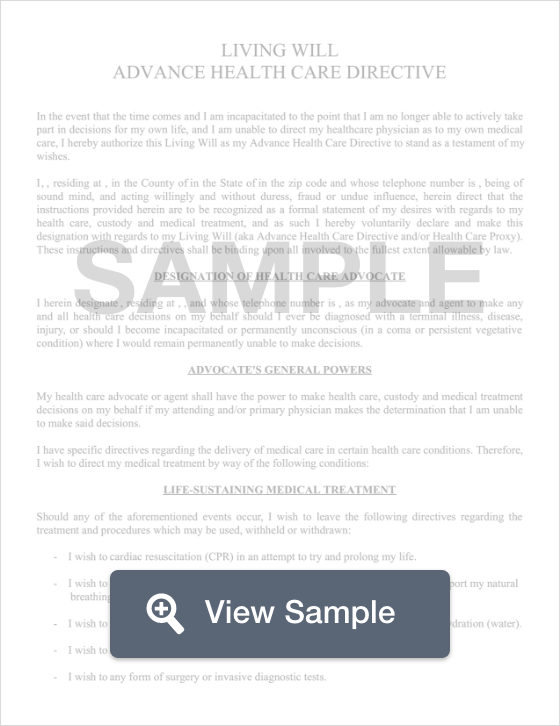 This document also allows you to appoint someone to make decisions on your behalf if you cannot make your own medical decisions. State law restricts who can be your agent. A Mississippi living will must be signed by two witnesses or must be notarized. Witnesses cannot be under the age of 18, your named agent, your healthcare provider, or an employee of a healthcare facility. § 41-41-201 through § 41-41-229: A living will, or advance healthcare directive, can be created by an adult who has the legal capacity to do so or an emancipated minor who meets certain requirements under the law. The document must be notarized. Another important document to prepare in addition to this one is a Mississippi last will and testament.